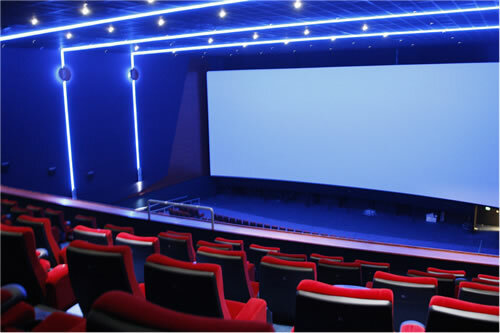 Major theatres like NuMetro Montecasino and NuMetro Emperors Palace have commissioned Questek Advanced Technologies to install their 3D cinema systems. Questek offers these clients uncompromising quality and the best prices. 3D cinema is taking the world by storm and is providing moviegoers with an experience that is elevated to the next level of entertainment. No wonder theatre complexes are scrambling to have their 2D systems upgraded to display 3D films. Simply put, 3D displays can project images to appear that they are three-dimensional. The Barco D-Cine Premiere range offers possibly the world’s most advanced digital cinema projectors and this is what Questek had installed at Montecasino. Barco is one of the only DCI-compliant vendors who are authorised to display Hollywood content. The Montecasino setup uses the DP-1500 and DP-2000, two recently introduced models of Barco’s DP Series. These models are based on the DLP chips of Texas Instruments and are renowned for their faultless picture quality. Questek is proud to be the exclusive distributor of Barco products in South Africa. It is far more complicated to film a movie in 3D. Several cameras are required to do the filming from different angles and then, specialised software programmes are used to turn the 2D images into 3D images. It costs more than a million Rand to convert a cinema to display the 3D format but movie houses have found it worth the money, because research has indicated that 3D movies have attracted 50,000 more moviegoers on average for a four-week period. Hollywood production houses produce more 3D movies every year, so the 3D cinema is here to stay. Questek Advanced Technologies can help you stay at the forefront with our excellent Barco 3D digital cinema projectors. Contact us for more information.